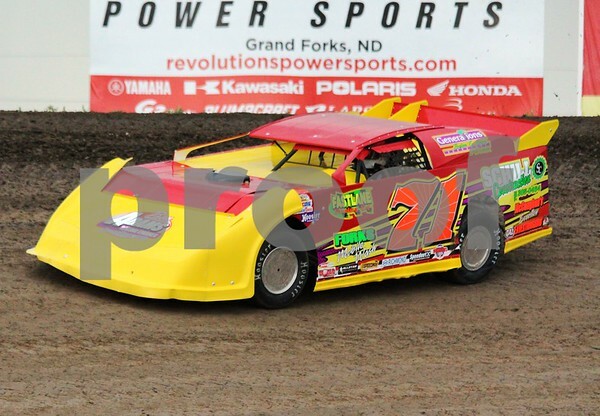 Dustin Strand won his first NLRA championship on Thursday night with a 12th place finish during the 'Night before the Johnny at the River Cities Speedway in Grand Forks. Strand, driver of the No. 71S Q&Z Plumbing & Heating Millenium, had to weather a near disaster in his heat race, making contact with two other cars, damaging the driver's side door. He failed to earn a transfer spot in the heat race, and had to come through one of the two B Main events. He easily won his B Main, but once again had to avoid a big crash in the main event. Four cars crashed on the front-stretch on lap 10, but he was able to come through that unscathed. Congratulations Dustin! 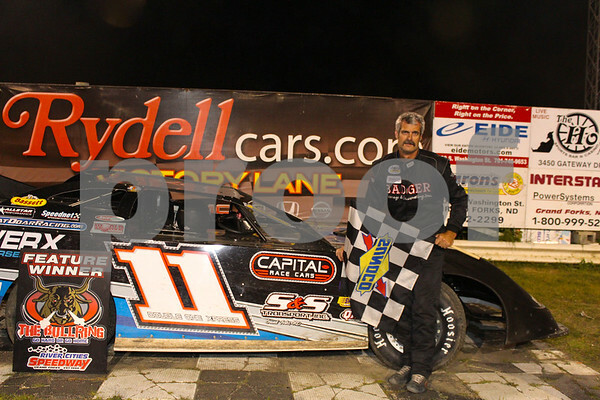 Pat Doar won his sixth career NLRA Feature Thursday night during the "Prelude to the Johnny" at the River Cities Speedway. The win ties him with Dale Skytland and Kevin Sexton on the NLRA's all time wins list. Doar drew a poor number at the pit gate and started last in his eight car heat race, but rallied to a second place finish. He started sixth, but motored to the lead on lap 4 of the 25 lap main event. Brad Seng put a strong bid for the lead late, but fell short to Doar by .134 of a second.